For Christmas, I received a MAC quad with two eyeshadows, and the past couple of months I've picked up another couple of pans to fill up my quad. 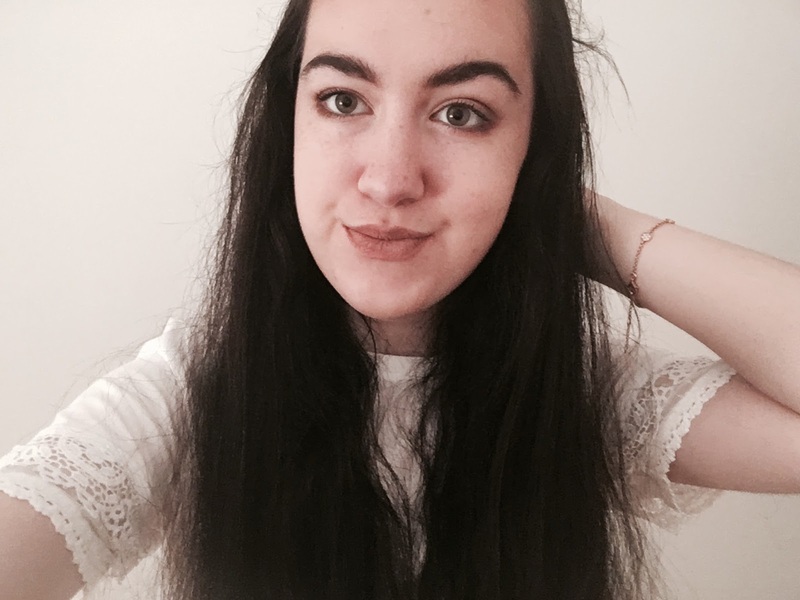 I've tried and tested the eyeshadows, but do I think they are worth it? I love that MAC's eyeshadows mean you can create a custom palette as big as you want it - ranging up to palettes holding 15 shades, which would obviously take a while to build up. The shade range MAC offer is so impressive - I feel like every eyeshadow shade you'd be after and more MAC caters for. This means eyeshadow shades I don't currently have in my collection I can get to put in my custom palette so I know I'll have nothing like it. You can tell in my palette I have more burgundy/pink toned shades because I own nothing like these and really wanted to. They offer a range of finishes as well, a feature I like because I expect the consistency to be the same in each finish. I own two frost finishes, a matte and a satin - but there is also other finishes available such as velvet and veluxe pearl. The matte shade I own is called Blackberry, a purple toned shade. This is perfect for using in the crease for a smokey purple look. I have been really impressed with this shade's pigmentation, I'm not sure whether it's because it's a darker shade or a matte shade but it's definitely as good as any Urban Decay matte. I really like this shade and would definitely recommend it. I own two frost finishes in Naked Lunch and Cranberry. Naked Lunch is your average beige-pink shimmer. This is really nice on the lid and I like the pigmentation of this too, although nowhere near as pigmented as an Urban Decay shimmer. However, it is very easily blendable. I bought cranberry because it is a burgundy eyeshadow and I have nothing like this. I tend to use this in the outer corner of the eye and I can't say this is overly pigmented. I have read somewhere after you've used MAC eyeshadows a few times the payoff is better and I am hoping this is true. The shade is very nice I just have to blend a lot of it on. I then have a satin finish in the shade Girlie. The satin finish of lipsticks are really nice - not quite matte but still a good pay off. Girlie is a rosy-pink shade which I decided on because it was next to Cranberry in the shop which I already owned, and they looked really good together. I like this shade, it looks nice on the lid especially for a more natural look. 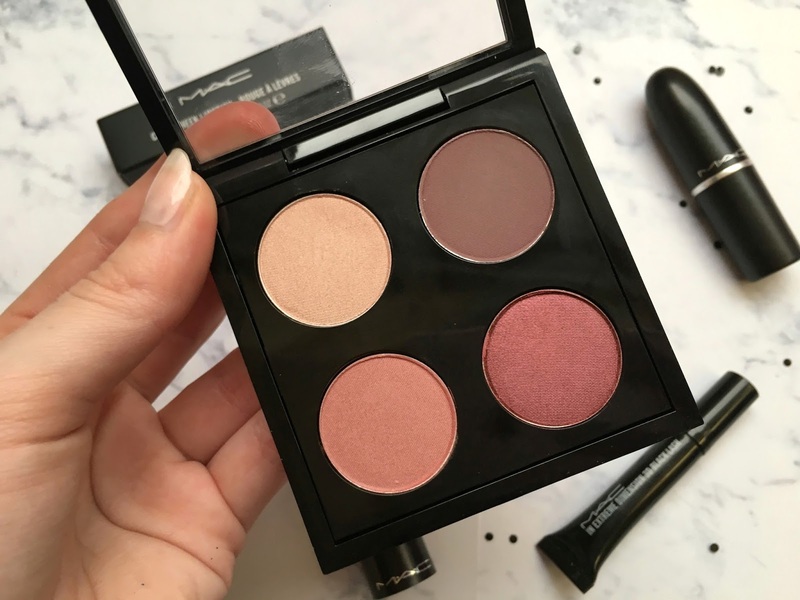 Do I think MAC eyeshadows are worth the hype? I certainly think they are good, perhaps they don't quite beat Urban Decay in terms of pigmentation (it is a tricky contest after all) but the shade range is incredible and I love building my own palette. 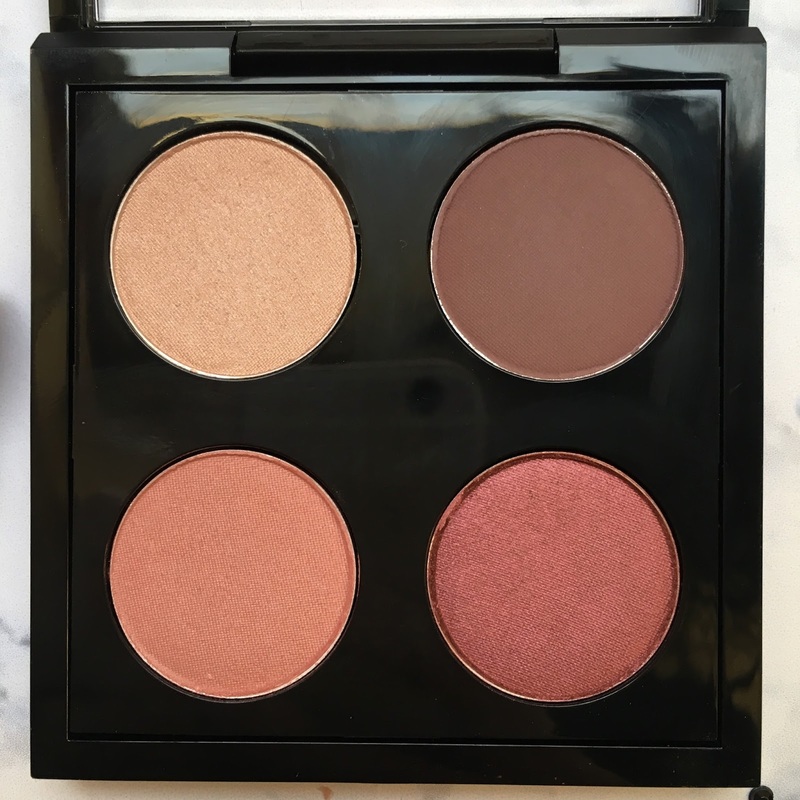 The palette looks sleek and the eyeshadows are really easy to insert. A quad is perfect if you travel a lot - you can pick your four essential eyeshadows that work perfectly together and you're sorted. 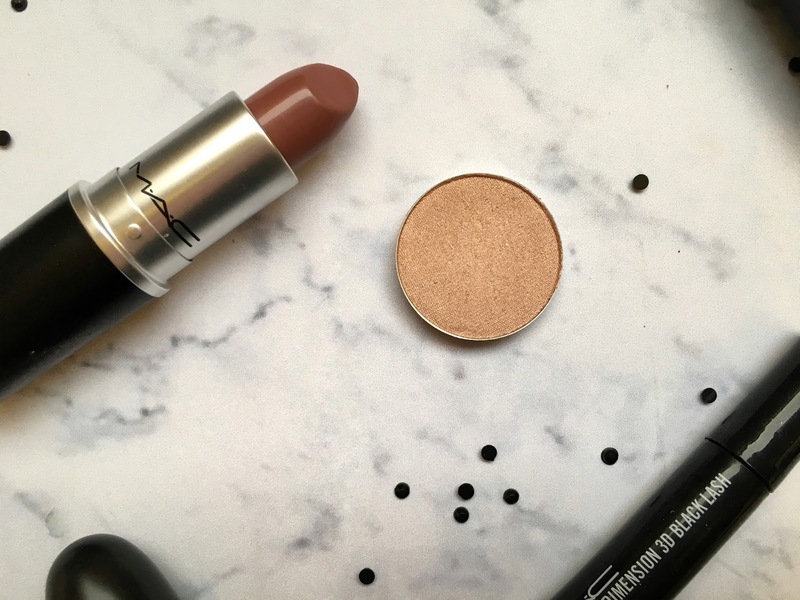 I may not think MAC's eyeshadows are as good quality as their lipsticks, but they are worth trying and worth the hype. 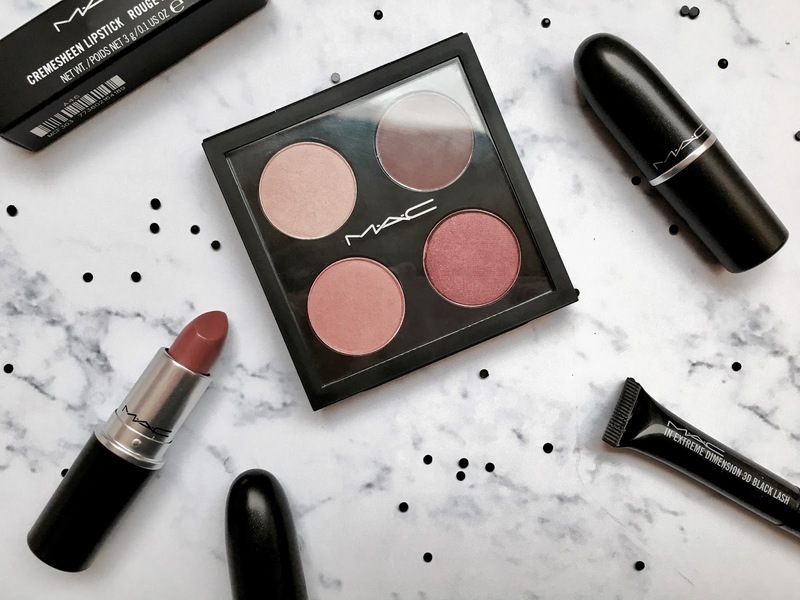 Have you ever tried MAC eyeshadows? Great post! I love the shades you have. I don't have much eyeshadows from MAC, but I've seen other people's collection and they look gorgeous. I think their single shadows are good, but if you buy them in a ready palette, not so good. I've seen swatches from palettes & the shadows weren't as pigmented as they should be (especially for the price you pay for them). These look really lovely, I have never actually tried MAC eyeshadows! I too would enjoy building my own palette. It's a shame they don't live up to Urban Decay but I guess the shade variety makes them worth trying! Really enjoyed reading this post. great post lovely, these quad shades are gorgeous. i'm yet to try any mac eyeshadows but I'm glad the variety makes them worth trying! Girlie is so pretty, it's been one of the few shades I have never gotten bored of! These shades are just gorgeous! I especially love Cranberry!